L’OCCITANE offers a whole fragrant world of products for women, men and the home. Made with the finest, rigorously selected natural ingredients, these L’OCCITANE essentials offer effective care, sublime fragrances and a wonderful feeling of well-being. 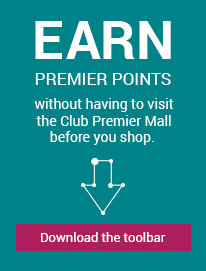 Special Terms: Member rewards are not available on Gift cards, eGift cards & Gifts with Purchase Purchases made offline are not eligible for rewards. Most purchases are shipped from our warehouse in New Jersey by Federal Express, to arrive within 7 - 10 business days from receipt of your order. For an additional charge of $10.00 per address, we can expedite delivery by Federal Express to most destinations in 2 - 3 business days. We accept Visa, Mastercard, AMEX, Discover, Paypal, Amazon and gift card. Please call 1.888.623.2880 to get a Return Merchandise Authorization number. We will call our shipping company and a call tag will be issued for merchandise pick up. Please enclose your invoice and merchandise in a box. Please allow 2 weeks from the day you return you package for your merchandise credit to be issued. Exchanges or store credits won't be possible without a RMA (Return Merchandise Authorization number).